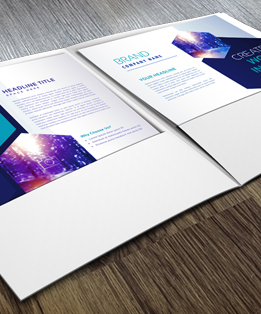 ADD STICK to my perforated business card? SHOULD I ADD STICK TO MY PERFORATED BUSINES CARD? 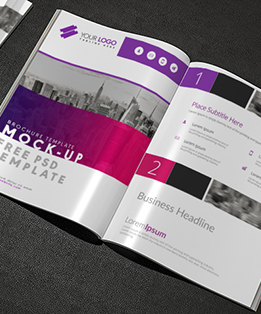 If you want your customer to be able to retain the tear off card and easily keep it where they will see it in view - on the fridge or computer monitor then the answer is yes. 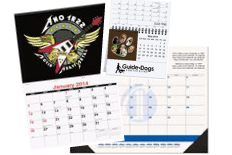 The STICK BANNER no longer prints directly on your design however you can add it to your design if you like. 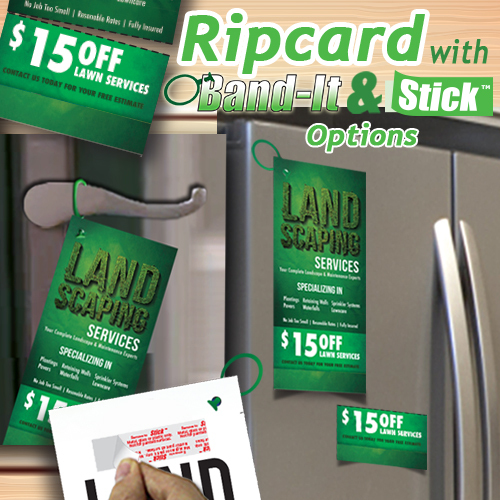 Many customers like having it part of their design because with a quick glance your customer can tell the door hanger they received has STICK without looking at the back side. Find it under the IMAGE GALLERY tab - under STICK BANNER when you are inside the design tool. WHAT IS A DOOR HANGER CARRIER? Add a Door Hanger Carrier to your door hanger order to help keep your hands free while you are distributing your door hangers. This will allow you to easily shake hands with a potential customer or write an estimate to leave with your door hanger! A weather protetor is a clear, plastic, heavy duty sleeve with a zip lock closure. This item may easily be slipped around the entire carrier if it starts raining while you are out distributing the hangers. It also comes in handy if you still have hangers inside the carrier and just want to toss it into your back seat or trunk and go without the hangers falling out and ending up all over the place. 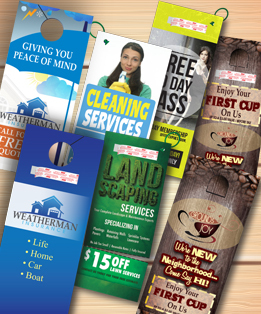 All the benefits of a Door Hanger Band-It® or Stick™ with the value added feature of a perforated tear-off Card. Perfect for distributing Business Cards, Loyalty Cards, etc. along with your door hangers. 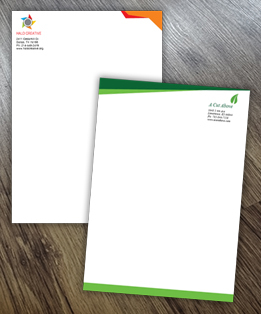 Add Stick to the back of the perforated business card to make it easy for your customer to keep your card in view!